All the best, most popular and interesting events in and around Austin. 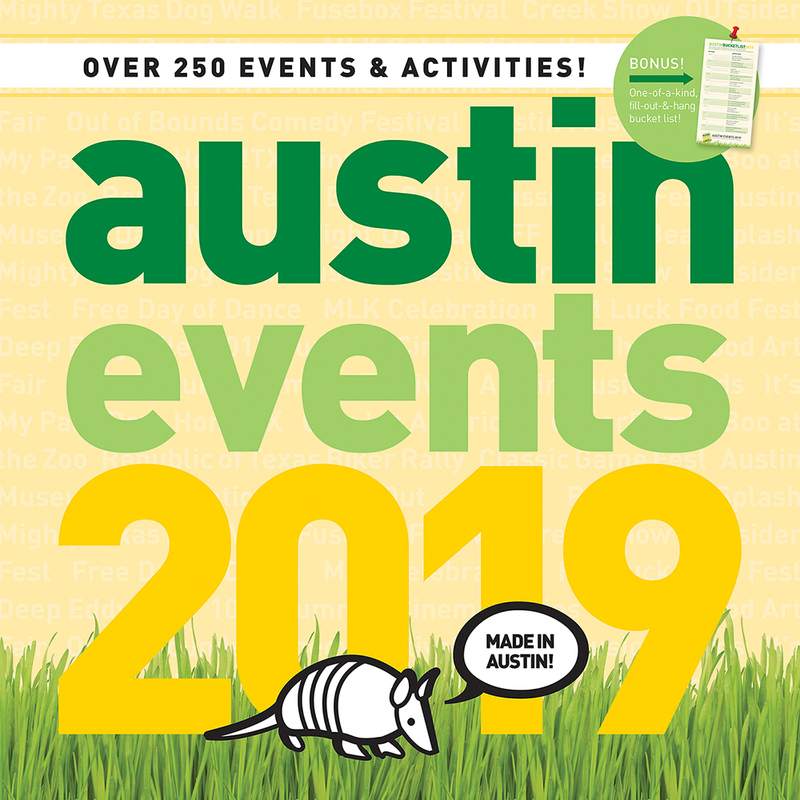 Includes: SXSW, Austin City Limits Music Festival, Eeyore's Birthday Party, Carnaval Brasileiro, Zilker Kite Festival, Austin Marathon and Half Marathon, Bat Fest, Cap 2K Swim, Cap 10K, Free Day of Yoga, East Austin Studio Tour, Cine las Americas, Keep Austin Beautiful Day, etc. The calendar also lists Daylight Saving Time, major voting days, and Texas tax-free weekends and many more events and activities. Add your own monthly picks, or use some of our suggestions. Either way - plan on having fun! 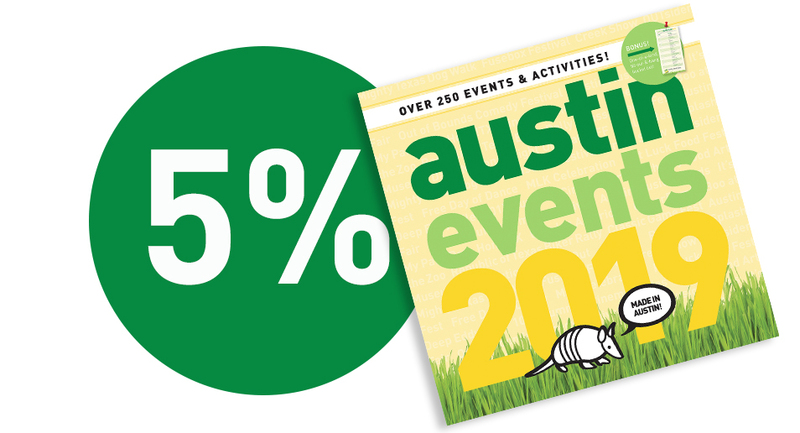 We give 5% back to Austin! 5% of the after-tax profits from the sale of this calendar will be donated to Austin-area nonprofits and other organizations that enhance the Austin community. GET CALENDAR UPDATES EVERY TWO MONTHS.